Harvest time last November. 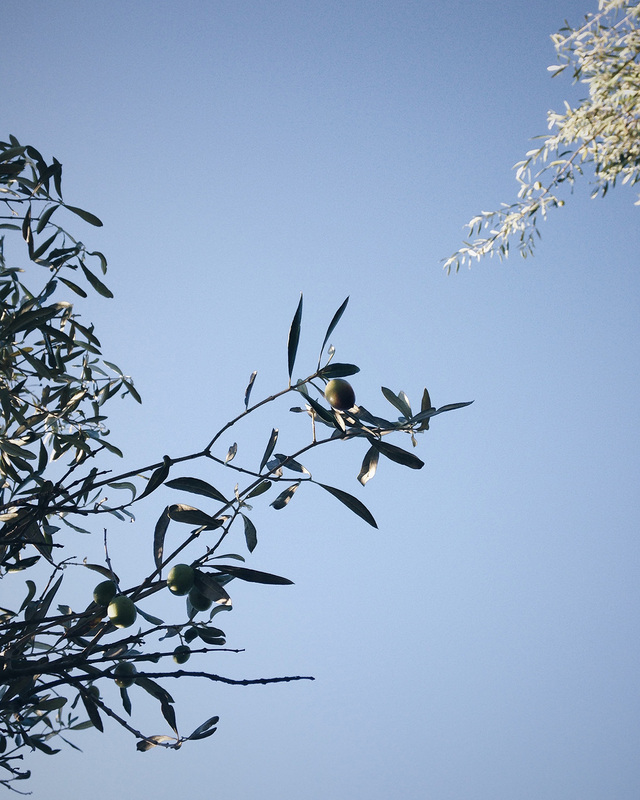 Our olives ready to be picked and pressed. Green and peppery at first, milder as it develops, the oil is in use through the year, until it is harvest time again. 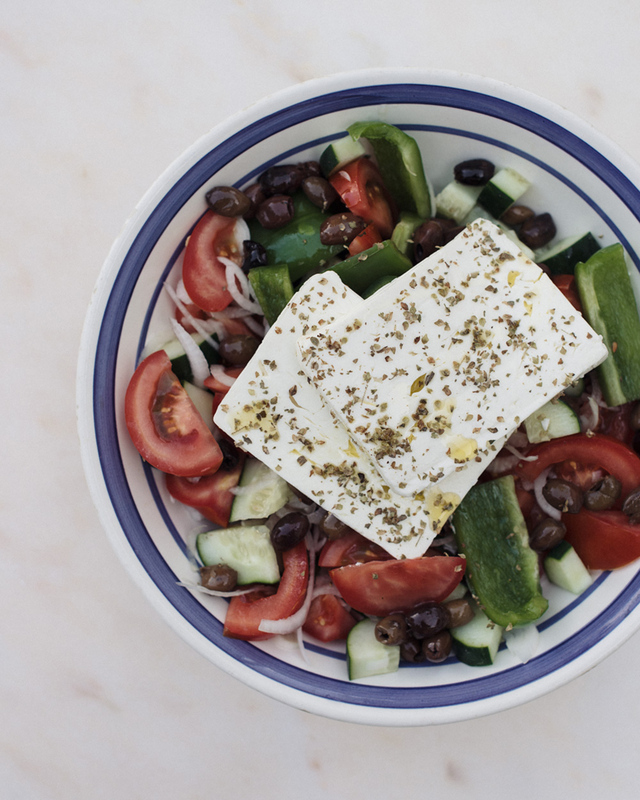 Roughly chopped veggies and a block of feta cheese cut in half to make two large and thin slices. Green peppers and onions are crucial to the taste. Tomatoes and cucumber bring sweetness. Red wine vinegar and olive oil for dressing. The best olives come unpitted. Garnish with dry oregano, if you like.